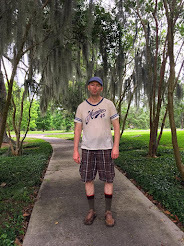 Zombie Logic From Thomas L. Vaultonburg, Outsider Poet: Has Google Discontinued PageRank? Has Google discontinued PageRank? As a writer first, and blogger secondly, who writes about everything from fantasy football to zombie movies, all I can say is... I sure hope so. You see, I write all the words here at Zombie Logic. I research all the topics. There's a great deal of original poetry, artwork, movie reviews, fantasy football advice, and cultural commentary you can't find anywhere else. I've been waiting for the day when Google refines its analytics to the point where scrapers, plagiarizers, aggregators, syndicators, and downright huxsters only operating blogs to bilk other people out of money don't get so much love from Google. They haven't earned it. I have. Hell, I look forward to the day when I don't even have to post a completely extraneous picture like the one I posted here. Just words. Well thought out words saying something no one else is saying. Just like the huxsters, I sell things here. Things I made. Things that are high quality. Things I deserve to make more money having created. Things you'd be able to pick up in fifty years and feel good for having purchased. Lasting things. Google likes this blog fairly well. No complaints, really. I don't really compete with shady bloggers for my major keywords. After all, poetry isn't exactly burning up the charts in terms of making people money. I'd like to do better because I tire of hearing the phrase "content is king," but almost always seeing it at blogs where there is no original content. 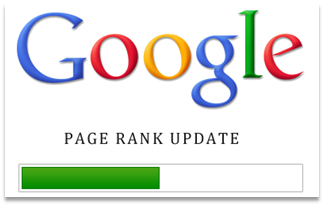 Maybe there will never be another PageRank update. I don't know. I don't really care anymore. Maybe they'll ne'er be another pagerank update. i do not grasp. i do not extremely care any longer.